Nip + Fab is a brand that was new to me until a few weeks ago when I went along to an event to showcase some of their new Christmas ranges which are being sold in Sainsbury's. 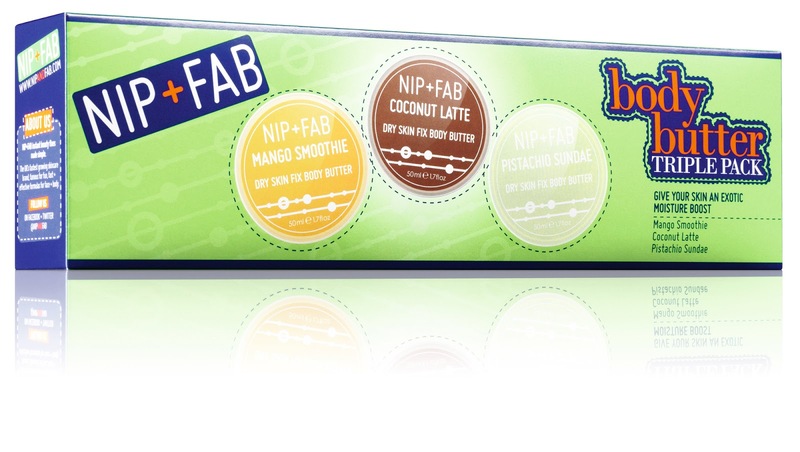 Since then I've realised that I had heard of Nip + Fab's frown fix before as being a bit of a beauty must have for frown lines, but I'd not really been aware of which brand made it. I'm going to be trying Frown Fix soon as I'm getting the Laser Fix in a box kit for Christmas which includes Frown Fix as well as two of Nip + Fab's other best selling anti-ageing products. More about that after Christmas! After the event I was sent a couple of products to try which are the Glycolic Fix and Stiletto Fix. Stiletto Fix is a foot balm designed to soothe and cushion tired feet. It contains something called allantoin to do the soothing and protecting and it smells lovely and minty - perfect for refreshing hot, fat, shopping feet! Glycolic Fix is an exfoliating glycolic treatment which comes in ready to use pad form. 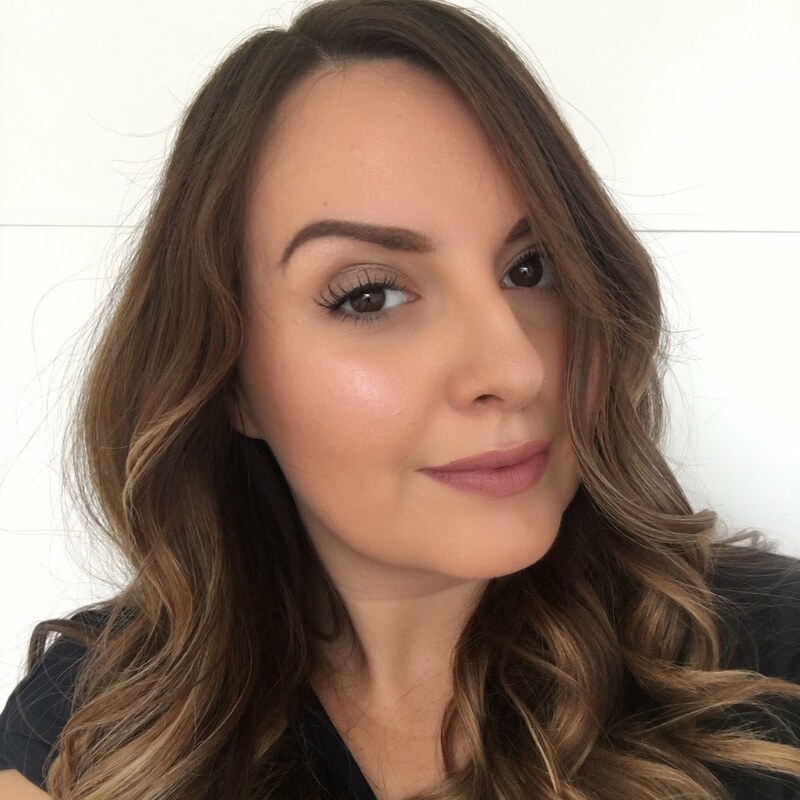 I've talked about glycolic acid products before - they're something I really like to use at night to regenerate my skin and improve the texture. It's really handy that these come in a tub of pre-soaked pads so there's no messing about when I want to quickly complete my night-time routine and fall into bed. There's no stinging with these either, which I've sometimes found with other glycolic products. If you're not overly familiar with Nip + Fab either, you might start to notice them more now that they're selling gift sets in Sainsbury's this Christmas. They have a body butter trio gift set and I can confirm that the mango smoothie butter smells amazing. I'll be keeping my eye out for it while I'm doing the weekly shop! Me too, I can't wait to try frown fix - they also have a kit for really dry hands which looks great. I really like Nip + Fab products. not tried either of these though, so might have to give the glycolic fix a try. Nice review. 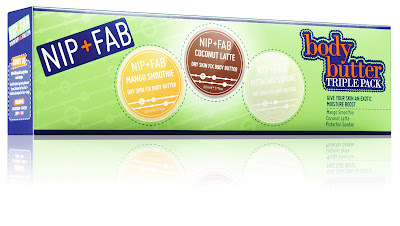 I have never tried anything from Nip + Fab before, thanks for sharing. I'm not loving the Nip + Fab products. I'm trying the Glycolic Fix Pads at the moment and in my mind, if a acid based product doesn't at least have a tingle it's not doing much! I'd love to know what percentage is ACTUALLY Glycolic Acid. To me, they just make my face moist. Not great. I never seen to get the tingle with the ones I've tried - maybe this means my. Skin is rough and tough ha! I've got a Nip + Fab hand cream. In all honesty, I bought it because it came in a green tube, and I'm decorating my bedroom green and cream. And I saw it on ASOS and well, that was the end of that! It's thick and moisturising, and has a lovely scent, but it was pretty pricey for a hand cream. I do like it, though, I have a thing for luxury hand creams! Buying products that match your decor is hilarious! I get sucked in for all sorts of silly reasons too! Glad to hear it's a really good hand cream - I think it's in the dry hands fix kit which is really like to try. Nail art night with the girls - 2! Ted Baker Origami collection review and giveaway!